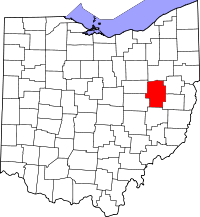 If you are interested in finding information on vital records from Tuscarawas County, Ohio, a good place to start is the Tuscarawas County Probate Court website. Here you can find information in obtaining birth records, death records and marriage records. You can access their website at http://www.co.tuscarawas.oh.us/Probate/Probate.htm. Another good source for finding information on obtaining vital records from Tuscarawas County is the Ohio Office of Vital Statistics at http://www.odh.ohio.gov/vitalstatistics/vitalstats.aspx. If you wish to obtain a certified copy of a birth or death certificate, a good website to use is VitalChek at http://www.vitalchek.com. This is a secure site and additional fees may apply for online requests.